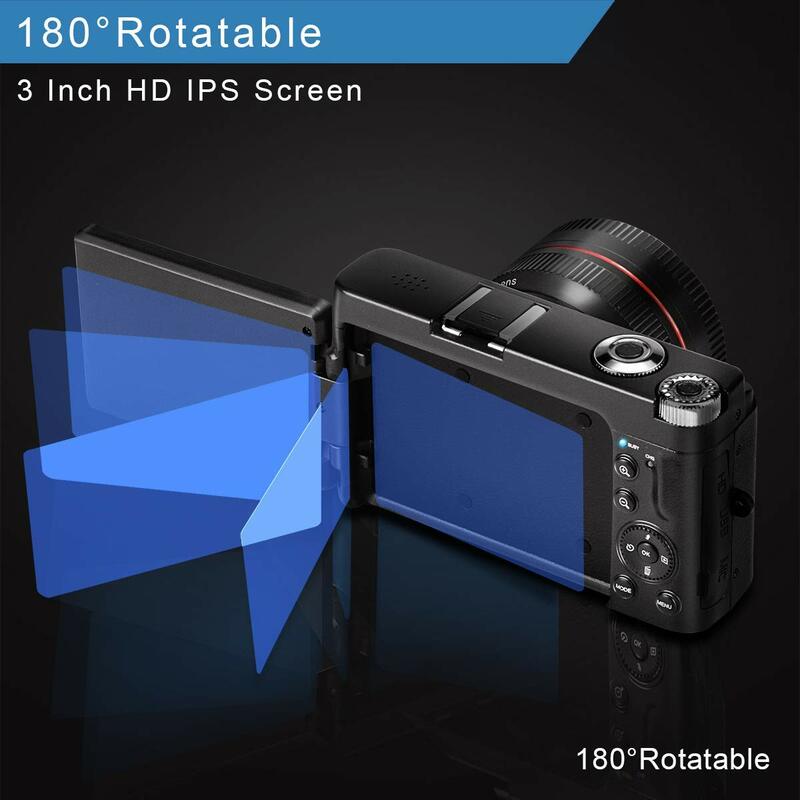 【SELFIE DIGITAL CAMERA】 Selfies have never been easier with our beautiful 3 inch LCD Screen that allows you to flip up 180 degrees so you can see yourself while recording. 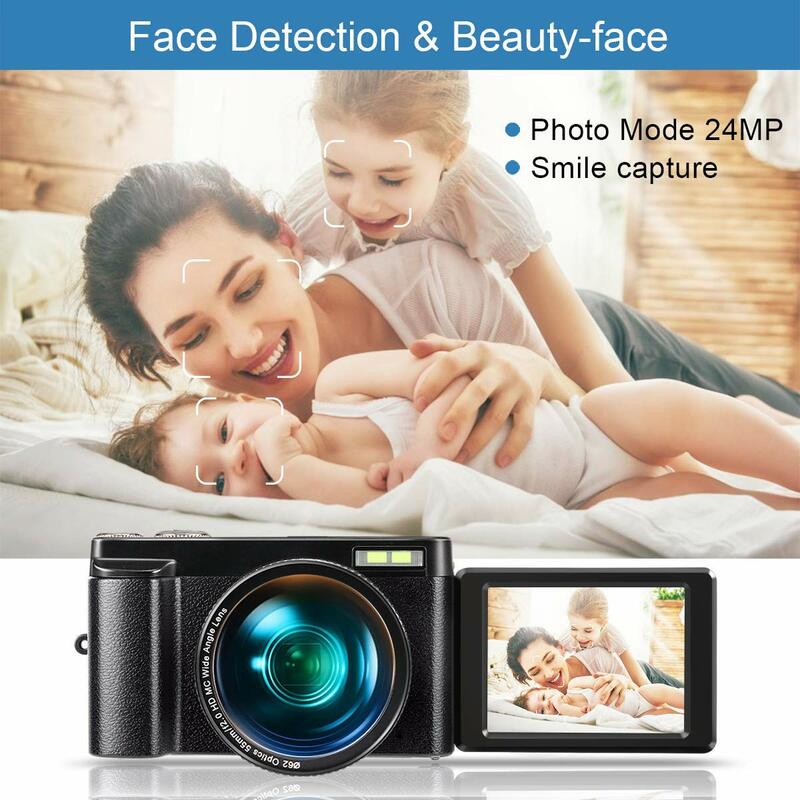 Face detection also makes it easy to photograph, when camera finds a human face, it automatically adjusts both the focus and the exposure to provide the best portrait possible. Anti Shake feature allows users to shoot images at slow shutter speeds, without causing blurring when shooting hand held. 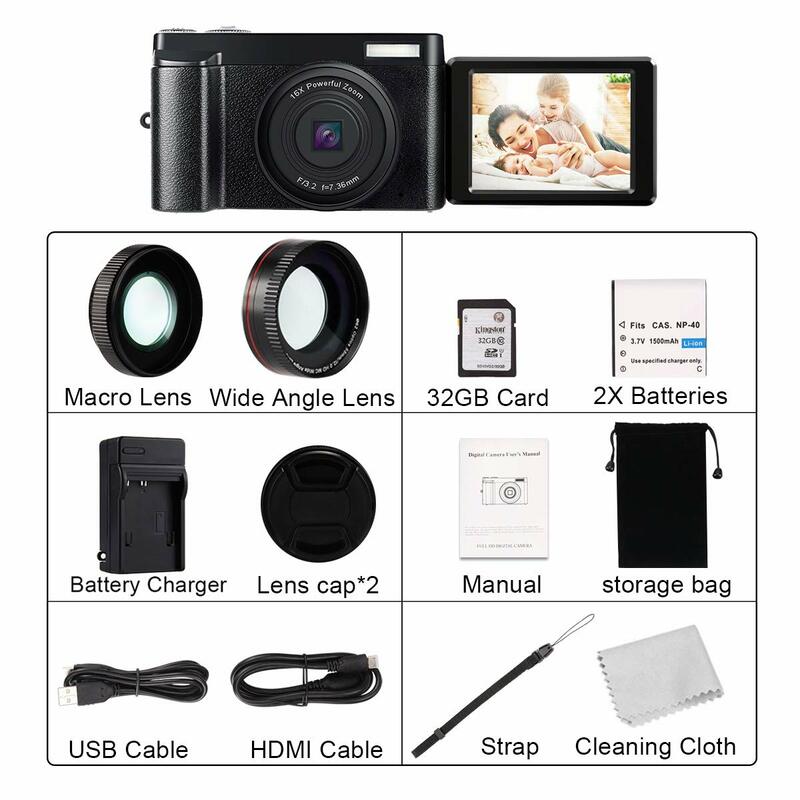 【WIFI VIDEO CAMERA】This Camera supports Full HD 1080p video and 24.0 MP image resolution. Thanks to built-in Wi-Fi, you can easily connect to a compatible iOS, Android smart phone or tablet. Just download APP by scanning QR code on manual. 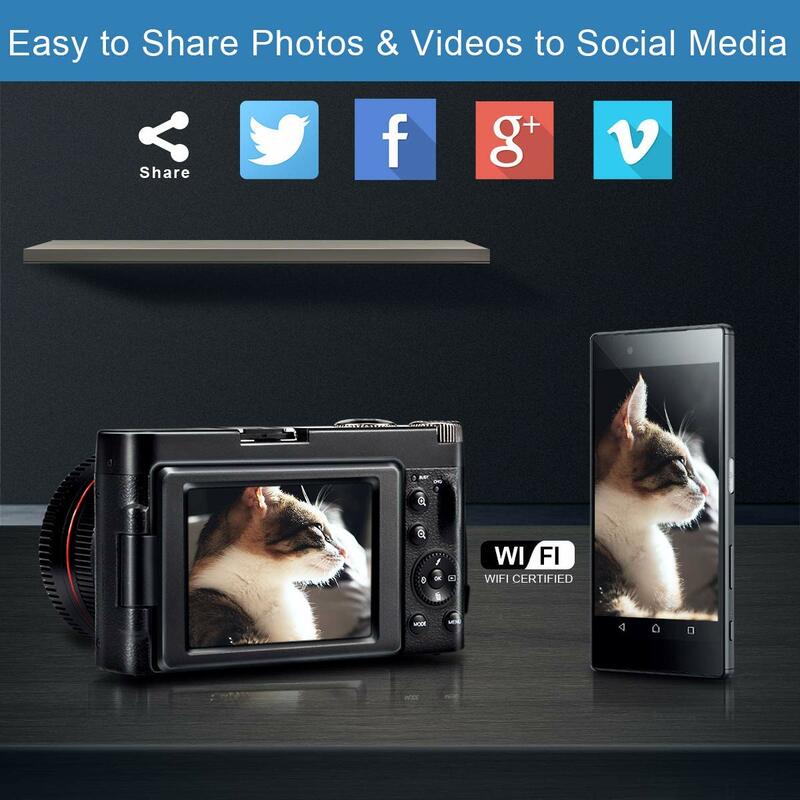 From there you can control your camera, preview and trigger the camera shutter or movie button. Easy to post your excellent photos directly to your favorite social media site or backup images to the cloud without connecting to a computer. 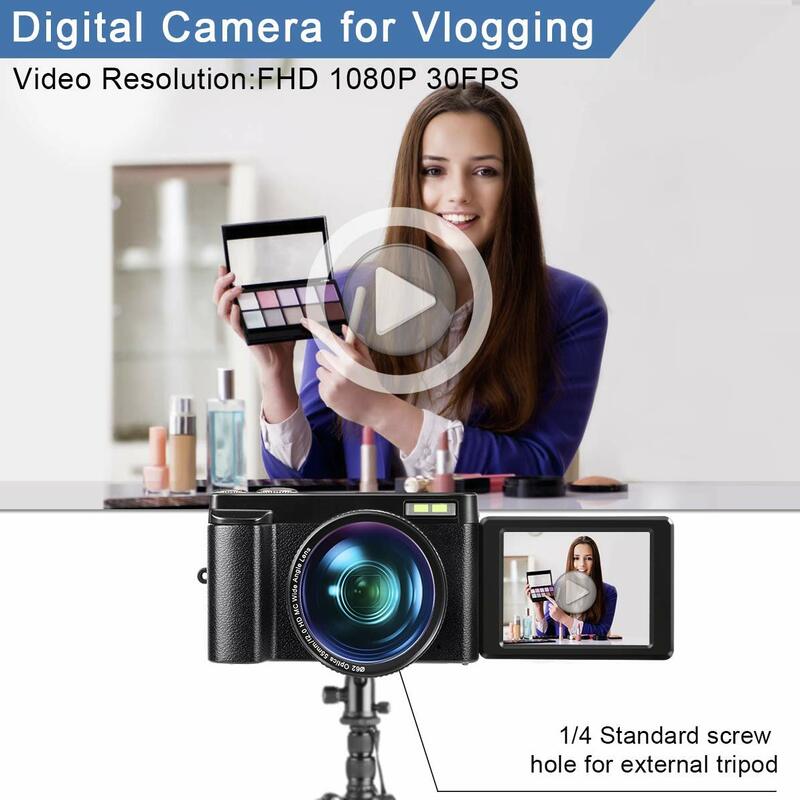 【WIDE ANGLE LENS & MACRO LENS】 This Youtube camera has 16x digital zoom, equipped with detachable 1.35X wide angle lens and macro lens. 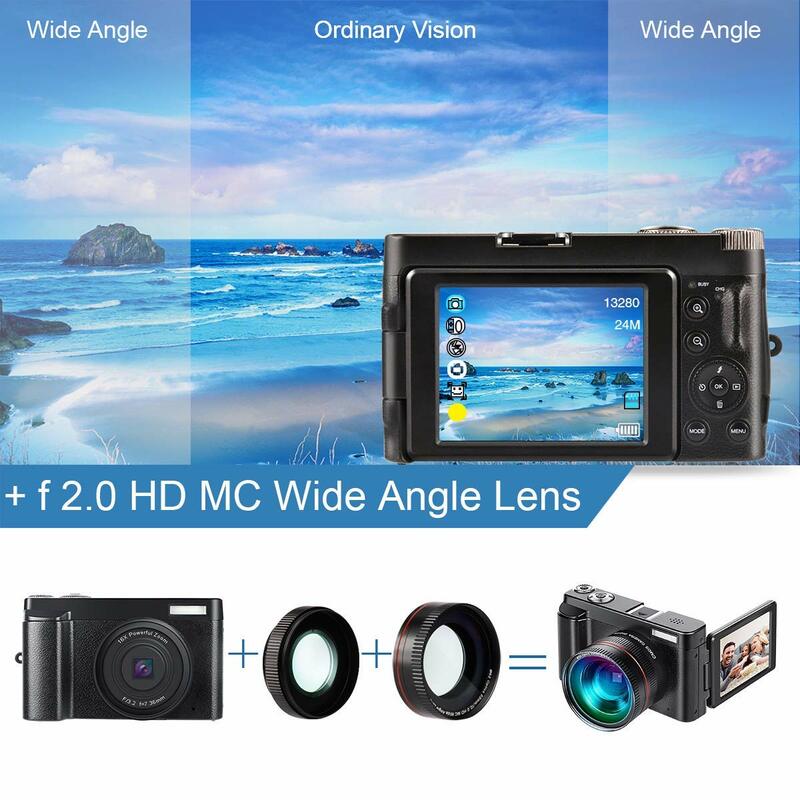 You can use wide angle lens to gain even wider angles of view and better image quality. Which are unrivaled in capturing the beauty of an immense landscape or taking in nearly 180 degrees of a beautiful view at once. 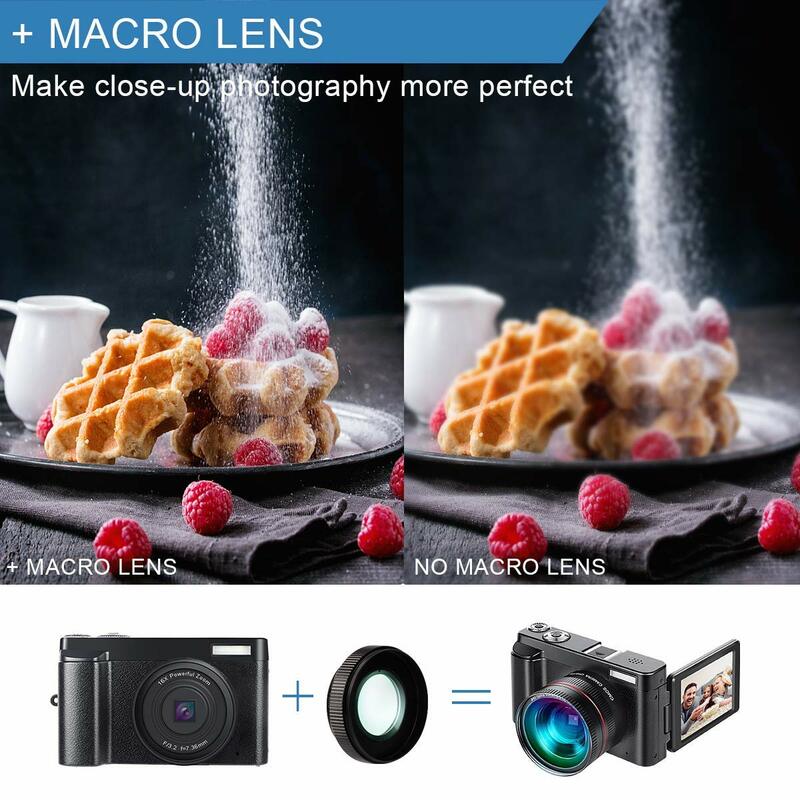 Macro Lens allow you to capture tiny objects when you take gourmet close-up photos to enhance the appeal of the pictures. 【NEVER MISS A PHOTO OPPORTUNITY】No need to worry about running out of battery or insufficient memory. 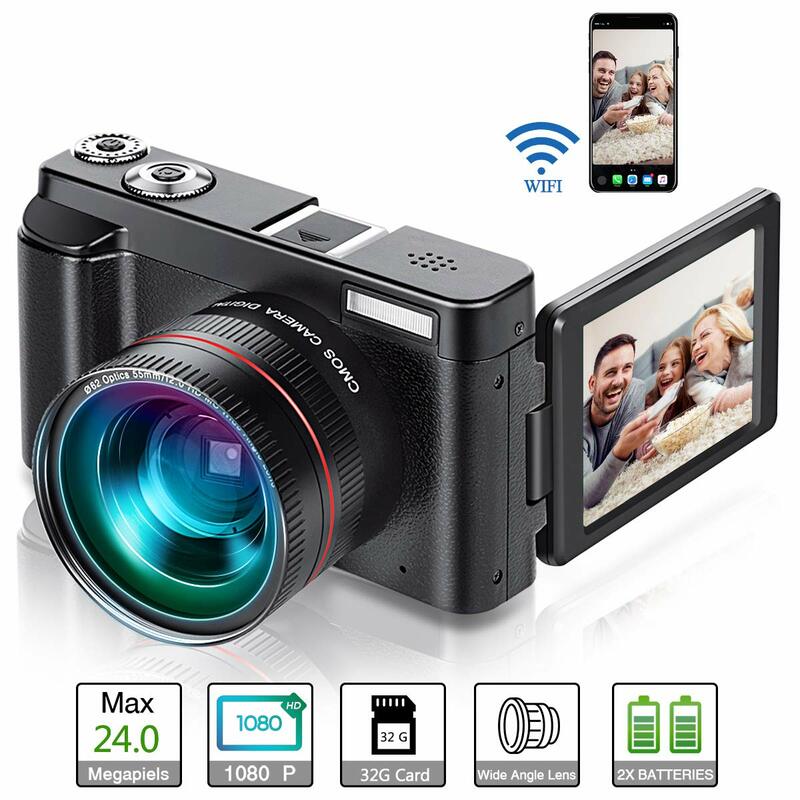 This camera equipped with 2 rechargeable 1500mAh batteries and a battery charger, it can meet your more shooting needs and keep recording around 2-3 hours when a battery is fully charged. Besides, it equipped with a 32GB SD Card, and supports up to 128GB SD Card. Perfect camera for a long term travel, never lose any good opportunity to record your good times.